While the iPhone-maker may like its Lightning ports, it would be nice if we could get a USB Type C port in iPhones now. If that pattern holds this year, then, you should be able to pre-order Apple's latest iPhones by the end of this week, most likely at midnight on Friday (Sept. 14). Just last week, reports popped up indicating that new 6.5-inch iPhone - the largest of the three - will be called the iPhone Xs Max, with Apple dropping the "Plus" moniker entirely for 2018. However, an earlier alleged leaked presentation photo of Cinia Mobile via Weibo revealed the Naming Scheme for the upcoming iPhone line up as the iPhone XC, iPhone XS and iPhone XS Plus. Between the two names, Apple going with iPhone XS Plus makes much more sense. The new "value" device will have a cheaper LCD screen, but will offer the same all-screen front panel and Face ID as last year's iPhone X. It will also use aluminum instead of stainless steel edges, and come in several additional colors. 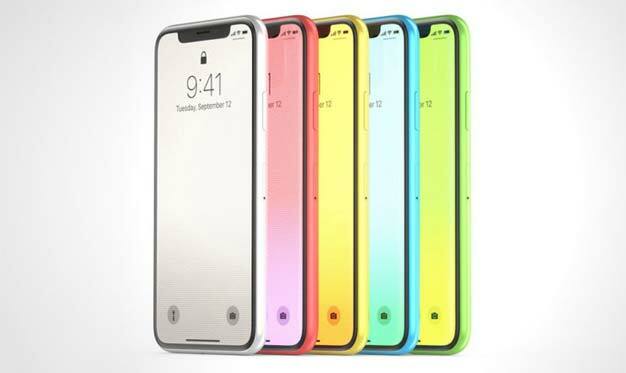 The report says that Apple "has considered" calling that one the "iPhone XR". Now, this seems pretty much clear that one of the iPhone Model out of three will come with Dual-Sim card support. Apple's event will also see the debut of the Apple Watch Series 4. Away from the major hardware devices, some of Apple's key accessories could enter the spotlight during the event. However, over the past few years, competitors like Samsung and Google have raced ahead of Apple with significant improvements with each iteration. Android phones have long supported dual SIM cards. Other than the wearable, the firm has an eye on announcing the AirPower, a new low-priced MacBook, redesigned iPad Pros with thin bezels and Face ID, and a pro-focused Mac mini. We're hoping there'll be a successor to the MacBook Air, upgrades to the Mac Mini, and a revamped iPad Pro. World's most valuable technology company, Apple is hosting the annual fall event later this week. "The bigger the device, the more people are getting out of it, and the more opportunity there is for Apple to generate money from them", Jennifer Chan, analyst with Kantar Worldpanel, told WSJ.